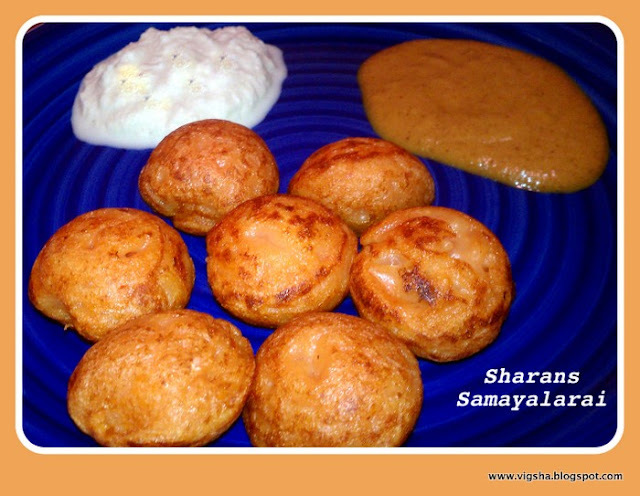 Paniyaram, a traditional and popular south Indian recipe made by steaming batter. Thakkali(Tomato Paniyaram) is a simple and easy snack or light dinner. They had a mild tangy taste with a lovely light red color. Check out my own version of Tomato Paniyaram. 1). 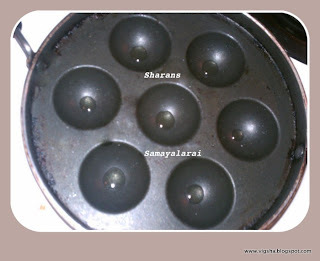 Heat the paniyaram mould and add some oil in each mould. 2). 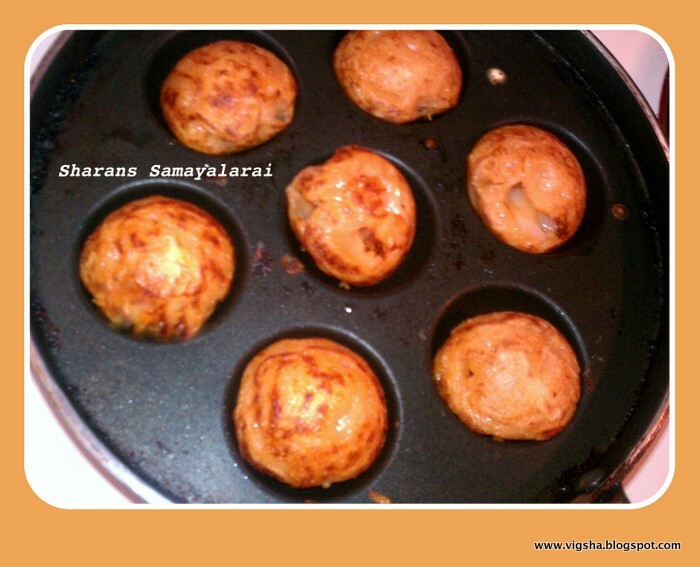 Once the pan is hot pour the batter in each groove and add onions on top. 3). Reduce the heat and let it cook covered till you find small holes on the top. 4). 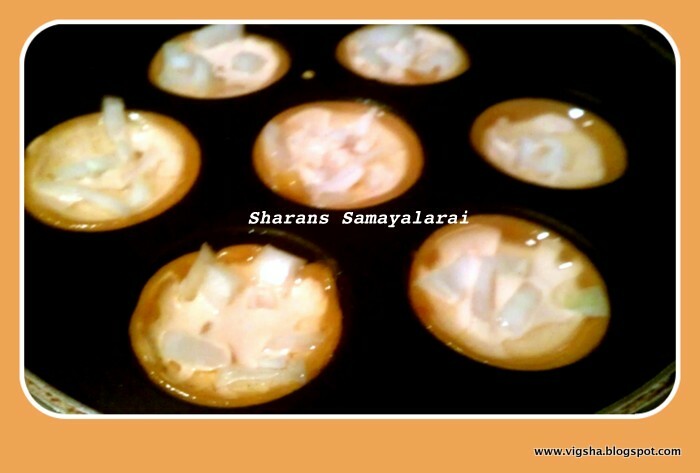 Then flip over and let it cook for three to four minutes or until both the sides are evenly cooked. 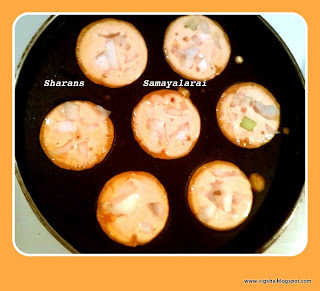 # You can add finely chopped coriander leaves along with onions. 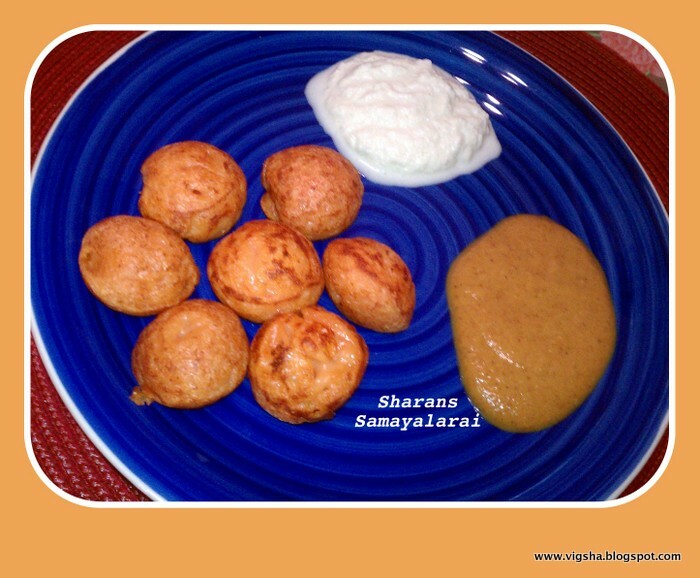 # If you are serving for kids, you can add veggies like grated carrot, peas etc. Also reduce the spice flavor. These little treats look very yummy. Delicious...Linked my recipe to your event dear.